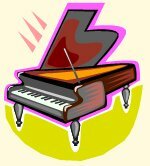 The Annual Piano Auditions is one of the MEA's most successful and fruitful programs. Labeled "Auditions" at their inception, they actually comprise an incentive program with year-end evaluations for piano students of all levels and ages, including adults. This is not a competition, rather a program designed for all hard-working pianists - from the earliest beginner through the most accomplished young artist. The requirements for the category determine eligibility for that particular level. Help maintain a high level of teaching standards. Every year approximately 1400 piano students participate on weekends in May and June at five different colleges across New Jersey. The student performs for a judge (usually an active, highly qualified piano teacher) and receives a written evaluation and a certificate. Additional awards are given for 3, 5, 7 and 10 years of achievement. The auditions also play into the eligibility for MEA Camp and College Scholarships. MEA welcomes all members to enroll their students in this valuable and rewarding program. A detailed syllabus with repertoire and technical requirements is available for all members from their Member Homepage. Check the MEA Calendar and/or download a Registration Form for current list of dates and venues. Note: The Registration Form is also inserted into the January/April Glissando. For directions, please click Audition Sites and Campus Maps. To view complete instructions and print out the registration form, go to Forms/Downloads on the main menu. Print out the form and submit by mail with payment. To obtain a copy of the current syllabus you can download and print from your Member Homepage. March 1 Deadline. In order to register students for the auditions, all Membership Dues (new members and renewals) must be received by this date. Each year the MEA hosts a special Young Artist Master Class at its June general meeting. It is quite an honor for a student to be chosen to perform at this class, which is conducted by an outstanding piano pedagogue. Students must be Young Artist A, Young Artist B, or Young Artist Preparatory A to register. The audition for this is part of the regular audition program and usually takes place the first Sunday in June. It is currently held at the County College of Morris. Effective 2014, the theory program has become independent of the Annual Piano Auditions. Teachers must register students on a separate registration form during the months of October and/or March. For more information about the program, click Theory Test Program. For more information contact Chair, Joan Bujacich: auditions@mea-nj.org.